A month ago, Cronley managed to capture two notorious Nazi war criminals, but not without leaving some dead bodies and outraged Austrian police in his wake. He's been lying low ever since, but that little vacation is about to end. Somebody--Odessa, the NKGB, the Hungarian Secret Police?--has broken the criminals out of jail, and he must track them down again. But there's more to it than that. Evidence has surfaced that in the war's last gasps, Heinrich Himmler had stashed away a fortune to build a secret religion, dedicated both to Himmler and to creating the Fourth Reich. That money is still out there in the hands of Odessa, and that infamous organization seems to have acquired a surprising--and troubling--ally. W.E.B. 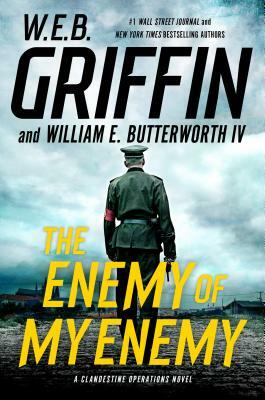 Griffin is the author of seven bestselling series: The Corps, Brotherhood of War, Badge of Honor, Men at War, Honor Bound, Presidential Agent, and Clandestine Operations. He lives in Fairhope, Alabama, and Buenos Aires, Argentina.